Virginia’s state government is in a state of chaos. Lt. Gov. 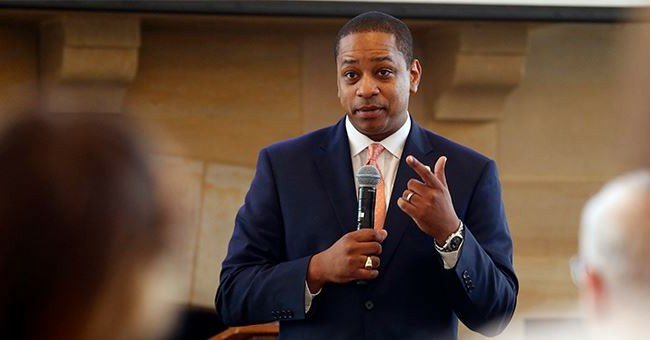 Justin Fairfax, a Democrat, has been accused of sexual assault. Fairfax has strongly denied the allegation, saying that The Washington Post had known about the incident, but decided not to run with it because they couldn’t corroborate the story. Now, we have a second accuser coming forward against Fairfax. Del. Patrick Hope (D – Arlington) tweeted his plans to introduce articles of impeachment Friday hours after a second woman came forward accusing the Lt. Gov of sexual assault. Fairfax denies the claim made by a college classmate who says she was raped by Fairfax in a “premeditated and aggressive attack” while they were undergraduates at Duke University in 2000. The allegations are the second to be brought against Fairfax this week. On Monday, he denied allegations made by Dr. Vanessa Tyson claiming he sexually assaulted her at the 2004 Democratic National Convention. Fairfax denied the allegations, claiming the encounter was consensual. So, the two white dudes who did blackface get to stay, but the black statewide officeholder is probably going to be forced to step down. Hey, these are the Left’s rules, folks. Have Virginia Democrats paused to consider the implications of a statewide blackface/KKK scandal that somehow results only in the resignation of the black guy?